Lavendale Farmstay and Cottages is 64 hectares of gently sloping land on the banks of the Avon River, 14 kilometres south of the historical town of York. They offer self-contained accommodation in one, two and three bedroom cottages, plus an elegant bed and breakfast room in the Residence. There are nine self-contained one, two and three bedroom cottages. The cottages sleep up to two, five, six or eight people, or combining two of them, 14 people. There are dining and catering facilities for in-house events and conferences. The gardens have been developed to suit each style of accommodation. Each cottage has a well set up kitchen and private outdoor area with barbecue. Cots are available if requested in the family size cottages. Ask about the meal packs for breakfast and dinner. 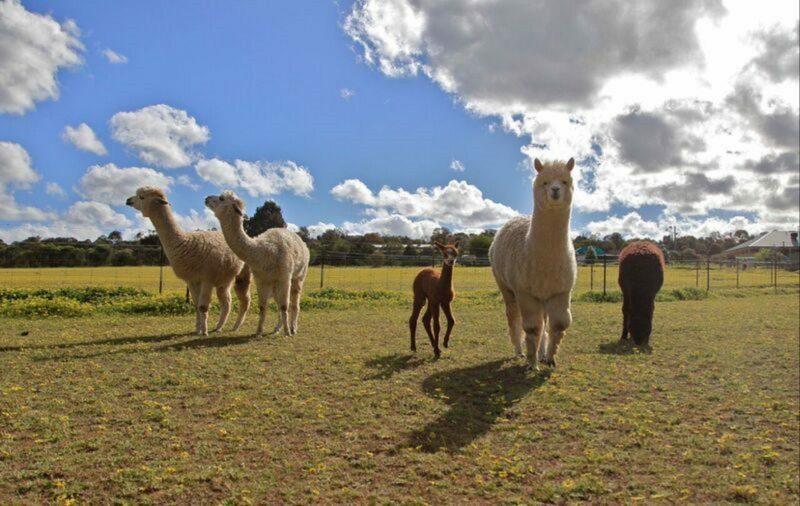 Join the owners for animal feeding in the afternoon. There is a children’s playground and activity room. Relax in the tranquil settings, enjoy the peace of the countryside, and maybe learn a little about farm life. The Bali Hai is a two bedroom self contained cottage in a tropical island theme. One bedroom has a four poster queen size bed, the other has a double and single bed. Cot and high chair available. The bathroom is huge with a full corner bath. The cottage has a roomy lounge and dining room. Outside is a covered patio with barbecue and at the side, overlooking the fish pond, is decking with an outdoor setting under the Bali Hut. There is a well set up kitchen with gas cook top. Everything you could want for a relaxing holiday in Bali, and only one and a half hour’s drive from Perth. There is one guest room in their residence, with a large ensuite bathroom and access to the veranda through romantic French Windows. The guest room can be made up as either twin singles or one king size bed. There are tea and coffee making facilities and a guest refrigerator in the room to keep your drinks nice and cold. Guests have access to the beautiful Music Room boasting a grand piano and comfortable chesterfields. Or just relax with your own television in the arm chairs in the room. Enjoy the style and comfort of the elegant Red Room. Breakfast is served in the huge country kitchen or on the veranda overlooking their bush garden and some of the animals. The Lodge is a three bedroom unit with sleeping for up to eight people. Bedding configuration is king size bed, queen bed, and four singles – great for two families or small groups. The rooms are huge and people in wheelchairs will be comfortable. You can drive right up to the front door. There is a huge patio area with a large outdoor setting and barbecue. The Common Room, designed as a small conference room or group meeting room is accessed from The Lodge. There is an additional toilet there. The bathroom in The Lodge is a wheel chair accessible wet room. Lots of room to manoeuvre. Kirribilli is a two bedroom unit with a modern, simplistic style. Sleeps six people (three single beds in one bedroom with a king and one single or three singles in the other). Open living area with well set up kitchen. Elegant bathroom. Patio with outdoor setting and barbecue. Close to some of the animals. This unit is separated from The Lodge by a large empty room. Kirribilli has reverse cycles inverter air-conditioning. 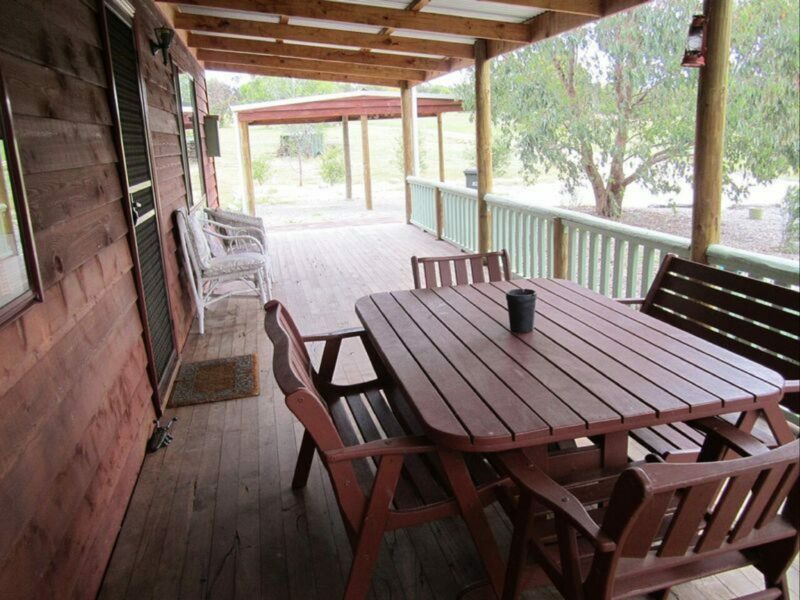 Enjoy a little Aussie country lifestyle with the Aussie Bush Cabin. Fully self-contained with a well set up kitchen. The long, wide veranda with its outdoor setting and barbecue offers beautiful views of the surrounding hills and bush. Inside the spacious living area is a comfortable chesterfield and enclosed wood fire for those cold winter nights. One bedroom has a colonial style queen bed and the other has sleeping for three in a double and single bed. They have a port-a-cot and high chair. There is a claw foot bath in the bathroom and a separate shower; television, DVD player, games and books in the lounge room. So secluded you will never know you are only an hour and a half from Perth. Cosy one bedroom cottages with wonderful views of the surrounding country. Plenty of room for two people but not recommended for any more. Bringing your dog is okay but you must ask for the Dog Policy. Full kitchens, lounge with wood fire. Cooling in summer. Queen bed in the bedroom with en suite bathroom. Patio with outdoor setting and barbecue. Great for romantic getaways. Not suitable for children or infants. The Valencia Villa is a self-contained cottage in a Mediterranean style. There are two bedrooms, an elegant bathroom with long bath and separate shower, and a huge living area. The cottage has a television, DVD player and board games, puzzles and books. An enclosed wood fire will keep you warm in winter and there is air conditioning for summer. The attractive patio has an outdoor setting and barbecue. One room has a huge French provincial queen size bed and the other room has three single beds. Cot and high chair are available. This cottage is ideal for young families and is close to their children’s playground. This stylish three bedroom unit is part of their new “Farmhouse Complex”. It sits high on the property overlooking the farm and neighbouring hills. The unit is licensed for eight people. Bedroom one has a queen bed. Bedroom two has a queen and a child’s single. Bedroom three has a double and a single bed. Large country kitchen and living area. Full bathroom plus additional toilet. Veranda with gas barbecue alcove and outdoor table setting. This elegant one bedroom unit is part of their new “Farmhouse Complex”. The large bedroom has a king bed and a single. Full kitchen and living area. Gas barbecue and outdoor setting on the veranda overlooking the farm. Great for the small family. 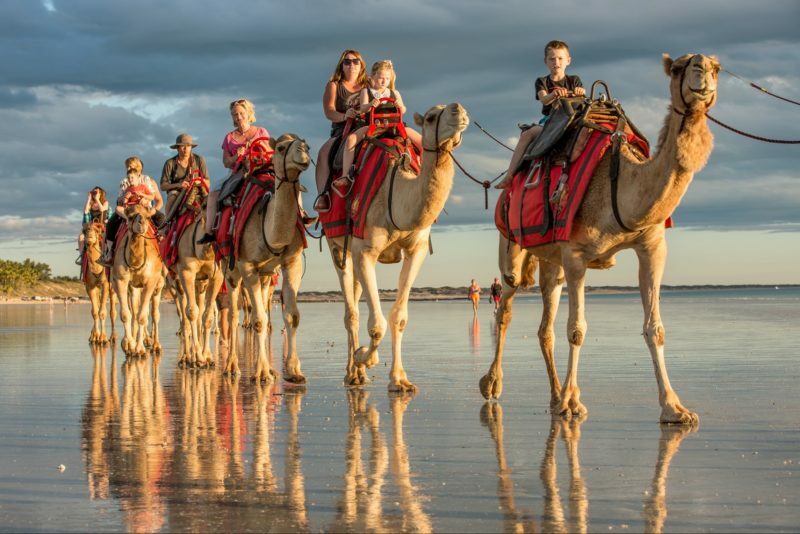 Two night minimum stay for family cottages on weekends and school holidays. 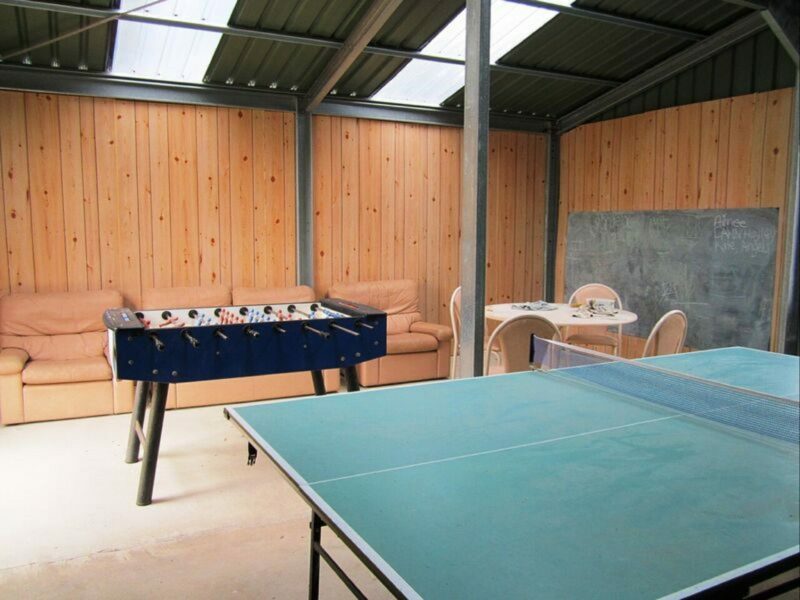 Permanent 2 night minimum stay on The Lodge, Kirribilli and The Farmhouse. Price is per night. See website for availability and accommodation pricing.